Fast-casual dining is a crowded field. Captain D’s stands out for a reason. 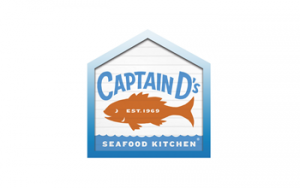 Captain D’s is one of the most popular, best-selling seafood franchises in the country. There are numerous reasons for this: exceptional, quality food that customers crave, clean, well-appointed restaurants and a staff committed to a superior customer experience. 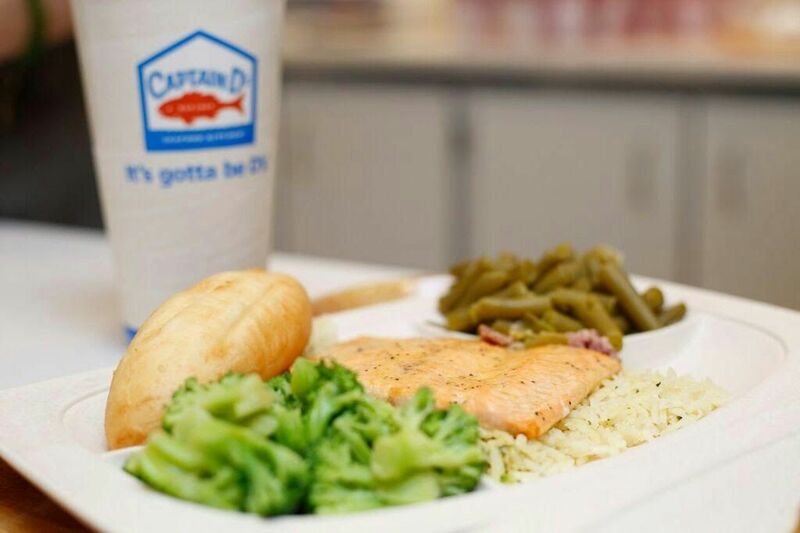 Health-conscious consumers gravitate towards low-fat, low-carb meals, and Captain D’s evolving menu meets that need. Seafood is what health-conscious consumers want, and they would be eating more of it if they had available options. That’s where Captain D’s dominates the fast-casual diningmarketplace. According to Technomic, only 6% of seafood entrees on menus in the United States are found in fast-casual restaurants. That means Captain D’s isn’t competing in a crowded marketplace. It is the marketplace. Captain D’s will not be outdone when it comes to quality seafood. We can tell you where your fish is caught, thanks to our use of sustainable fishing grounds near Alaska. We also use the entire cut, or fillet, of the fish for our products — no piecing together scraps and then breading it to hold the whole thing together. Our fish fillet flakes when it’s cut, just like it’s supposed to. A floor-to-ceiling re-imagining of the Captain D’s space is a hit with franchise owners and consumers alike. A cool, casual beach house. Customers experience a beach side, resort-type environment instead of the 'old man of the sea' look. Bright and airy, with light colors and a more open feel complement extensive menu changes. First they see, and then they taste, the difference. Same-store volume. The chain set average unit volume records each year from 2012 - 2015, and we’ve posted 21 consecutive quarters of same-store sales growth. Few direct competitors. If you already operate restaurants in your area, Captain D’s won’t be cannibalizing your other locations. There’s really nothing like Captain D’s in the market, so it will draw people who are specifically seeking seafood over burgers, chicken or pizza. When a Captain D’s franchise opens, it’s the last in a series of steps that have prepared the franchise owner, his or her staff, and the community for a new dining experience. Great food, reasonable prices, beautiful restaurants — what's not to love?